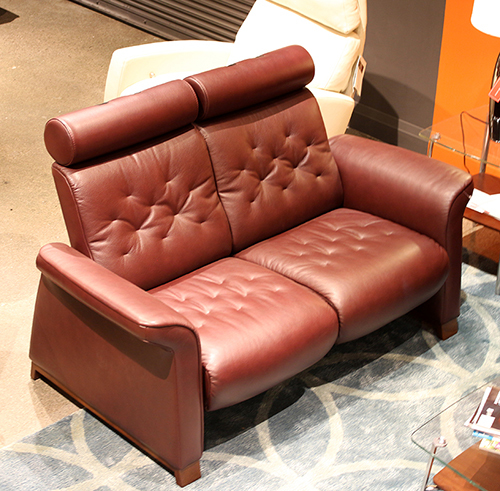 Both Shown in Cori Amarone Top_Grain Leather with Brown Stain on Legs. 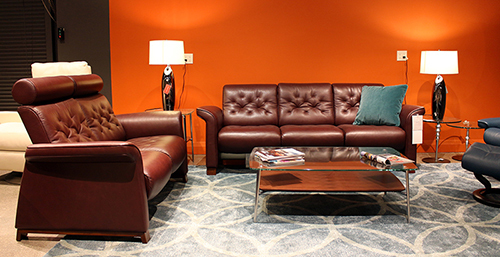 The Stressless Metropolitan has a traditional yet modern and trendy look. 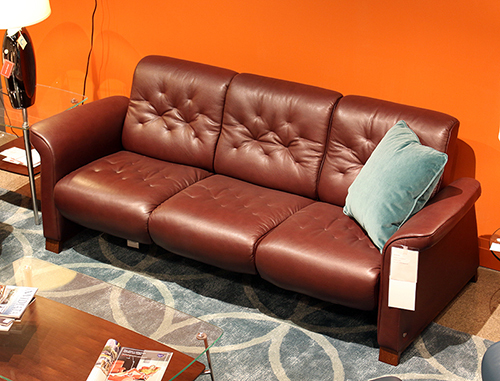 The flat seat cushions not only have a stylish look – they are also great for a comfy nap on the sofa. The legs make a big difference to the style you want. Steel legs give a modern look, while solid wood legs look more traditional. The innovative BalanceAdapt™ system, is a newly developed function that provides an added dimension to the comfort experience. The chair’s back and seat automatically adjust the seated position according to the movements of the body. The BalanceAdapt™ system is integrated in the Stressless View chair’s signature frame and you will definitely enjoy the added comfort. 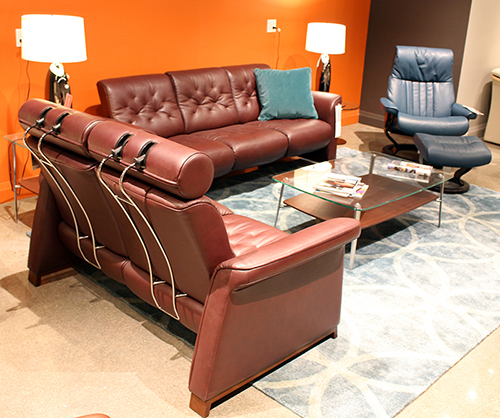 The BalanceAdapt™-system is also integrated into the two new sofas, the Stressless Panorama and Stressless Metropolitan, as the seat and back are automatically adjusted to your seated position. 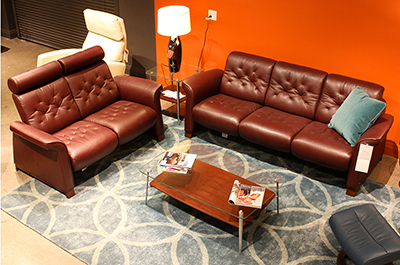 Matching Chairs: Stressless Skyline & Stressless Metro. *This model has been discontinued.